In a period of uncertainty in which the UK has suffered from since the announcement of Brexit, the question most investors ask themselves is “what do I do now”? Where should I invest my money? That is the million dollar question! 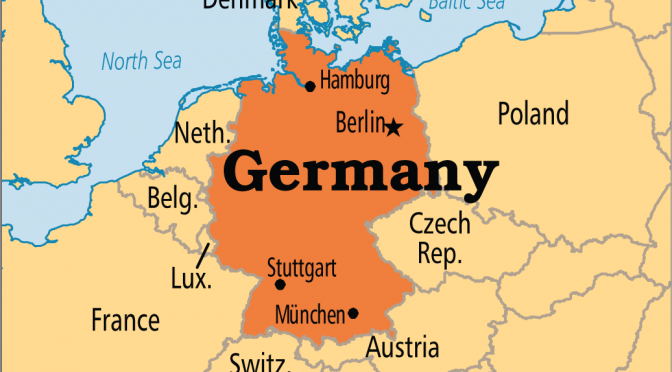 Looking at research one such place that is pointing towards a healthy growth is Germany, the centre of Europe. It’s ironic that uncertainty has been caused by the UK exiting Europe yet the country with the most economic growth is benefitting from this decision! Germany has been a leader in Europe and has been for some time. Unemployment has halved since Angela Merkel became chancellor in 2005. Germany has not only achieved better growth than most of the Eurozone since the financial crash but it is now running a budget surplus. The rating agency Fitch certified Germany as a AAA business location again. Germany gained repeatedly the best possible rating because of its broadly diversified economy with high added value and a strict debt discipline. Although the debt ratio of 68%, compared to the economic output is higher than the average value of 41% of the AAA countries, Fitch expects a surplus in the German federal budget. Also Moody’s and Standard and Poors gave Germany the best rating. All positive news for our Dolphin Trust Investors. This contributes to the current fact that Germany is hardly obligated to distribute interest rates on bonds which therefore relieves the budget. As a result the German debt securities are corresponding high because bonds are regarded as a risk free investment. Just like real estate prices, construction industry in Germany is growing constantly. This is shown by the latest study of the German Realtors Association (IVD). The annual evaluation of the IVD shows that property prices in Germany increased again by six per cent. In 2016 too, the price increase in apartments with an average residential value was at 6.03% compared to the previous year, while 2015 showed an increase of 5%. In recent years, large scale cities in particular have seen price growth at a very high level. Most of all, in the smaller and medium sized cities there is a stronger increase since these have very good price dynamics. Areas like Berlin are constantly growing in value, even though Berlin is still much cheaper than other capitals in the EU. Of all the German locations, Leipzig shows the sharpest price increase. A whopping 23.53% since last year! This is mainly due to the sustaining housing demand. In fact 400,000 new apartments are needed every year to meet current demands. As such the construction industry has benefited from this. In June 2017, contract prices showed a value of roughly 6.8 billion euros, 1.1% higher than the previous year. These are the highest figures since 1996! Sales in residential construction grew by 11% in the first half of the year. It all adds to a strong and positive outlook for the residential and construction market in Germany. According to scientists from the Otto Beisheim School of Management, Frankfurt and the entire Rhine Main region can expect tens of thousands of new jobs outside the bank sector. Their study concludes that, in the best case, up to 88,000 new jobs outside the financial sector may arise. Because of the planned Brexit of Great Britain from the EU, the study authors expect banks to relocate their locations from London to Frankfurt. Positive indicators are coming out of Germany, a great indicator to assist those wondering where to invest.